Click on a link above and the picture will be displayed in this frame. What are these silly people doing? We're not sure, but we know they are having fun. On the lower left of the photo, you can see the "official" box that holds Randy's Gold Record on its travels. 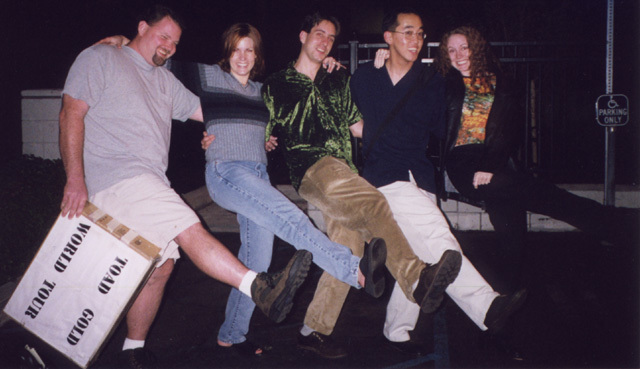 Pictured are: Chris Kennedy, Jen Simpson, Michael Mazur, Ryan Chan, and Leslie Cotten.